Haiti, still struggling two years after a devastating earthquake, is getting needed health care assistance from Howard University and U.S.-based Haitian immigrants, the university medical school announced June 1. A team of 25 physicians, dentists and medical students and 75 non-physician volunteers are heading to the island nation to provide medical care and clinical training later this month, according to a news release from school. The effort is being organized by Howard University Hospital (HUH), the New York chapter of the National Organization for the Advancement of Haitians (NOAH) and the Haitian Healthcare Alliance, Howard officials announced. “We think it’s vital that we keep a focus on Haiti as its people try to recover from this horrible tragedy,” said Dr. Shelly McDonald-Pinkett, interim dean of Howard’s medical school. “Even though it was two years ago, the residents of Haiti are still struggling with a variety of issues exacerbated by this earthquake, and health care is one of them. 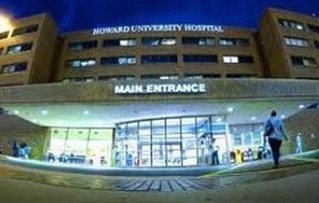 Physicians from Howard’s obstetrics, gynecology, surgery, internal medicine and pediatrics departments will team up with students, including graduate students from the College of Medicine, as well as recent medical school graduates who are doing their post-graduate work at the hospital. They will be centered in Fort Liberte, an area of about 35,000 Haitians located near the Dominican Republic border and 93 miles from the epicenter of the 2010 quake. The team will concentrate in Fort Liberté and the smaller communities nearby, an area of about 35,000 residents located near the border of the neighboring Dominica Republic and 93 miles from the epicenter of the earthquake. In addition to providing medical care, the team will teach their Haitian counterparts in the latest medical techniques, an HUH spokesman said in a news release. Dr. Henry R. Paul, assistant professor of medicine at State University of New York (SUNY) Downstate, is to lead the team. He is also president of NOAH NY, which is planning to build a hospital in Fort Liberte. The move comes at a time when the Fort Liberte area is short of doctors, HUH said.